My heart was racing. Seriously, when the Chicago Bears traded up to the second overall pick, it was pounding through my chest like a jackhammer and a lump began to form in my throat as I became increasingly nervous about a couple of things. How much did Chicago just trade away to move up that one spot? Who in the world does Ryan Pace have targetted and why is he worth it? When commissioner Rodger Goodell stepped to the podium, I was pretty certain that the pick was going to be Stanford’s Solomon Thomas, but when I saw the words “Mitchell Trubisky” come out of his mouth … my jaw dropped, and it’s still sitting there on the floor. Initially, I was unsure of the pick. I lost count how many times I uttered the phrase “I don’t know” in our instant reaction podcast recording. Then, as the evening went along, I started finding myself deep in thought, personally debating if this is a good or bad thing. After a night to sleep on it, I’ve come to the conclusion that both feelings of love and hate for this pick are reasonable. There are reasons to hate it. Let’s start with the obvious. We’re all a peeved (some more than others) about how much Ryan Pace gave away to move up one measly spot. In case you need a refresher, Chicago forfeited four picks for the one: this year’s 3rd, 67th, and 111th overall picks, as well as, next year’s third round pick. That’s one hefty bargain just to move up a single position on the board, and it’s understandable that many fans are disgruntled. The Bears need a ton of work across the roster. They have an overabundance of needs and are in short supply of draft picks. Teams are built in the middle rounds of the draft, and Pace is usually pretty keen on finding players who can contribute to this team later in the draft. Letting go of four draft picks to move up one spot is an appropriate cause to make one feel sick to one’s stomach. For all of these reasons, I feel some sort of animosity towards the trade. But … as a human, there is one thing we can all agree on, and that is: Emotions are complicated. At the end of the day, you have to love the move. This is a career-defining moment for Pace. The decision to trade up for Trubisky will be what dictates his fate in Chicago. He’s gone all-in, with hopes of playing a winning hand. You have to admire it. It was a sneaky move by the Bears’ front office. They barely met with Trubisky throughout the draft process, which is why this came out of left field. The fact that Pace, a man who has worked with Super Bowl XLIV MVP Drew Brees, believes that much in Trubisky to give up the world for him, fires me up. It’s better than settling for somebody you aren’t sold on. Pace’s tenacity on Thursday is refreshing, and the general manager said that he is aspiring for greatness in Chicago. This is what you should love about Pace. He knows that the opportunity to get the top quarterback in the draft is an extremely rare situation, and he wasn’t going to pass it up. Even if there is a 50-50 shot of Trubisky panning out, that’s still better odds than not drafting him at all. Knowing that Trubisky will sit for at least his rookie season is an ideal situation for both parties. It gives the quarterback time to improve his game and transition to the pro-level without the pressure of starting. Plus, it gives him time to rest up. See, a rookie quarterback tends to hit a wall. Typically the quarterback will burn out before the rookie season is over. It makes sense too as the rookie typically gets no break from their final season in college, and the start of the following NFL season. Trubisky’s arm will get that break. The extra time also allows Pace and company to build an offense (both scheme and personnel) around Trubisky before he ever steps foot onto the Soldier Field grass. Additionally, Pace has now given himself some additional time to get this roster playoff ready. Expectations will remain at a minimum until Trubisky takes over. This buffer will allow him to remain off the hot seat for the foreseeable future. Yes, this is a scary situation. But that can be due to the fact that it’s one we haven’t really been in. Trubisky is our future now, and there is no way around it. I urge you, even if you are currently displeased, to consider changing your thinking. It’s not doing you, or Trubisky, any good by having great disdain for him, and he hasn’t done anything to warrant those negative feelings. Give him a blank slate and an open mind. To scorn him before he takes a snap is plain silly. 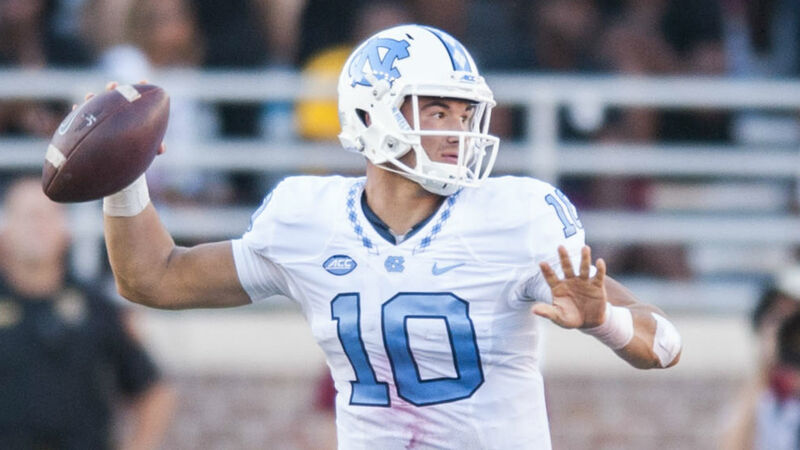 There’s a lot to like about the quarterback from North Carolina, and it’s exciting that our general manager trusts his evaluation enough to do what it took to get his guy. Yes, we gave up the world for Trubisky, but in return, he gives us an entirely new realm full of possibility and wonder. Welcome home, Mitch. What took you so long?